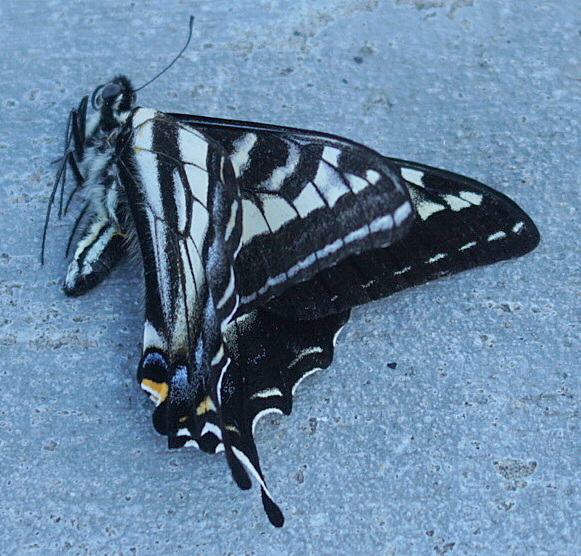 Observation notes: I found this butterfly dead in the rest area parking lot near the curb. I moved it up onto the curb. It was about 70 degrees fahrenheit, and slightly windy, near the Columbia Gorge. 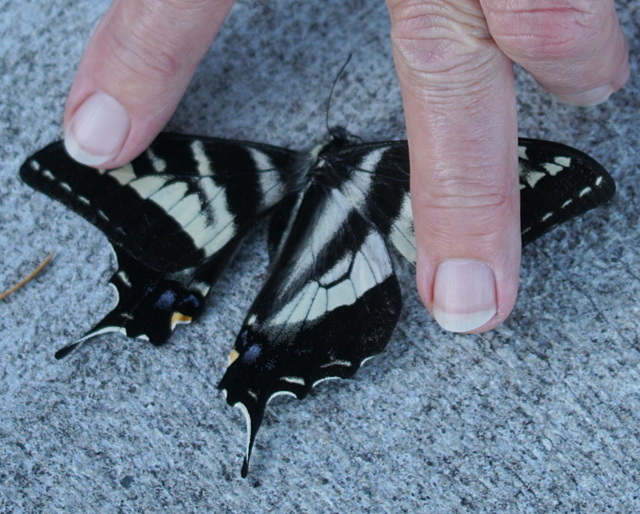 I had to hold the wings down to get a photo of the back.